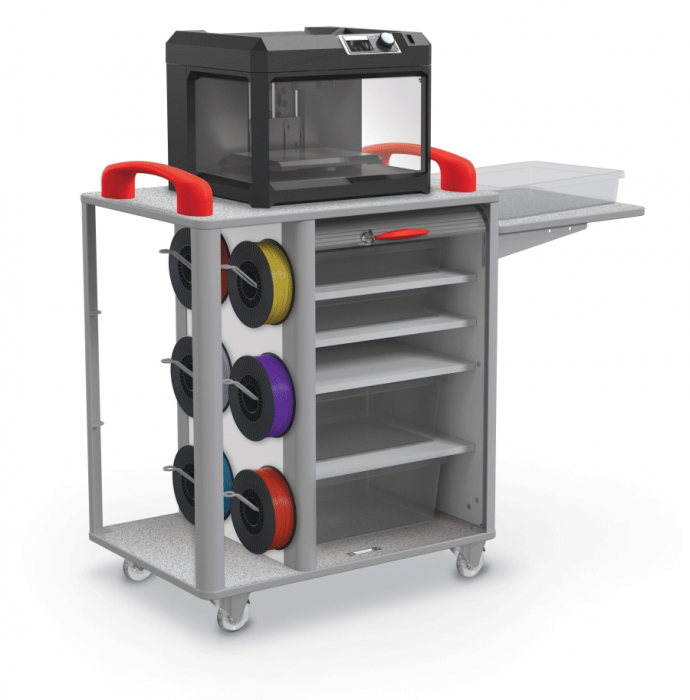 3D printing gets simplified and organized with closed storage, sturdy casters, accessory shelf, and visible filament spool storage. 3D printer not included. Detachable side shelf creates extended worksurface or can be stored on the side of the cart for quick access. 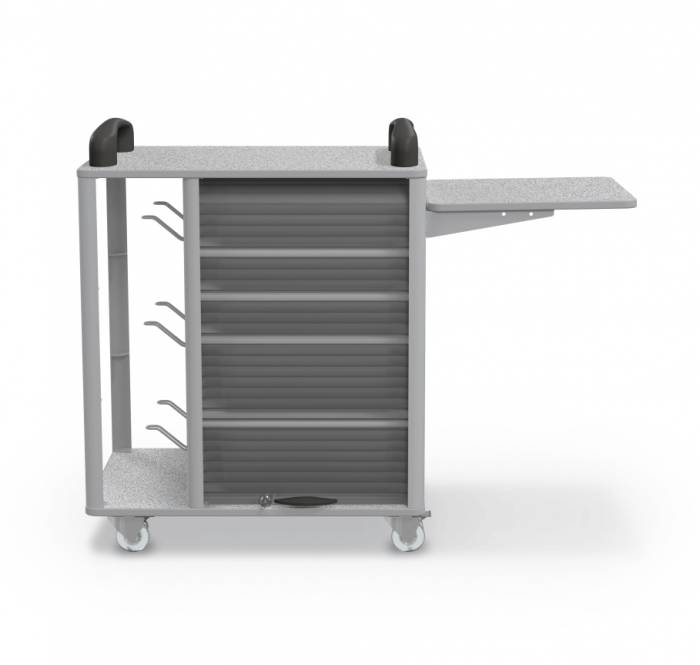 Locking tambour door keeps technology secure while stored. Includes four adjustable shelves with five crystal clear tubs with lids (three small, two large). Commercial quality 3” skate casters (two locking). Includes standard black handles. Purchase color matched handles separately. Cart uses two large and one small handle.